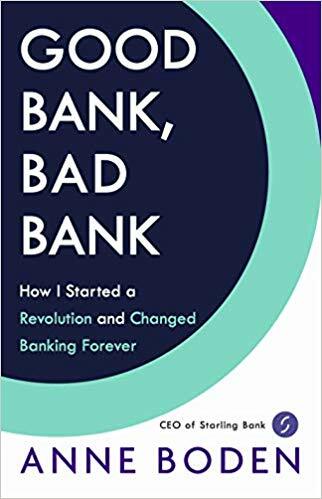 “Good Bank, Bad Bank: How I Started a Revolution and Changed Banking Forever” is the insider account of one woman’s quest to revolutionise Britain’s broken banking system. A career at the pinnacle of some of the UK’s top banks had left Anne Boden disillusioned with the sector. The financial crash and emerging technologies presented vast opportunity for change, but change it would not. Increasingly frustrated, Anne decided to do something radical – set up her own bank. In this awe-inspiring story Anne reveals how she defied the odds to realise her vision for the future of consumer banking. She founded Starling Bank, and in doing so has triggered a movement that is shaking up the entire banking system.